Heather's Place is the newest master plan community offered by Henry Homes. 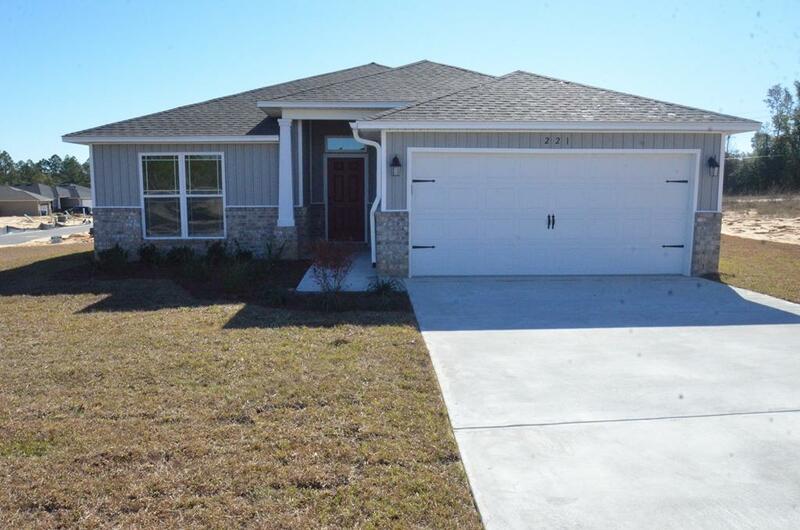 This beautiful cottage style, ranch home community features sodded front and back yards, sidewalks, Underground utilities, public water and sewer, only 8.5 miles to Navarre beach and convenient access to shopping and schools. Every home comes included with Granite counter tops throughout, stainless steel appliances in the kitchen, upgraded flooring in the common and wet areas and carpet in the bedrooms, upgraded recessed lights, separate tile showers in the master bathroom (on most plans) and covered back porches. These homes are extremely energy efficient. They come included with our 1 year builder warranty. Take advantage of our $500 move in special with use of one of our preferred lenders!